On 18 January 2011, the European Commission adopted a Communication entitled “Developing the European Dimension in Sport”. This is the first policy document issued by the Commission in the field of sport after the entry into force of the Lisbon Treaty, which gives the EU a mandate to support, coordinate and supplement sport policy measures taken by Member States. The Communication sets out the Commission’s ideas for EU-level action in the field of sport. It builds on the 2007 White Paper on Sport and follows a similar structure. It proposes concrete actions for the Commission and/or the Member States within three broad chapters: the societal role of sport, the economic dimension of sport and the organisation of sport. The Communication is accompanied by a Staff Working Document on the free movement of professional and amateur sportspeople in the EU. The actions proposed in the Communication aim to encourage debate among stakeholders, address challenges in sport and help the sector develop. They contain ideas which are likely to be further developed and implemented in time. 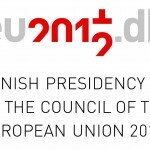 The Council and the European Parliament are expected to react to the Communication in the course of 2011.